While those who game on PC have had the chance to play with user modifications (mods for short) for years, modding is something of a new phenomenon on consoles, which has been brought to the limelight thanks to Bethesda games like The Elder Scrolls V: Skyrim, which have a huge modding community behind them. Actually, the likes of Skyrim have had literally thousands of user mods released for it over the years, which change many aspects of the game, with some adding new characters, quests and entirely new storylines such as the hugely ambitious Falskaar mod. There are also others that make cosmetic changes to the game, while some complete overhauls mods such as the impressive-looking Enderal are also available. And now user mods have finally become available on the PS4 and Xbox One for both Bethesda’s Skyrim and the more recent Fallout 4. Although in the PS4’s case mods only came to Sony’s console after long talks between Bethesda and the Japanese company (and initial disagreement too) meaning that PS4 mods have several restrictions, including a 1 GB size limitation and the fact that both Skyrim and Fallout 4 mods on the PS4 cannot use external assets, which restricts modding possibilities quite a bit. Despite this though, there still are a few pretty good mods available for Skyrim on PS4 now, and the same will likely be the case with Fallout 4, as there are already more than 300 mods available for the PS4 version of the game at the time of writing. 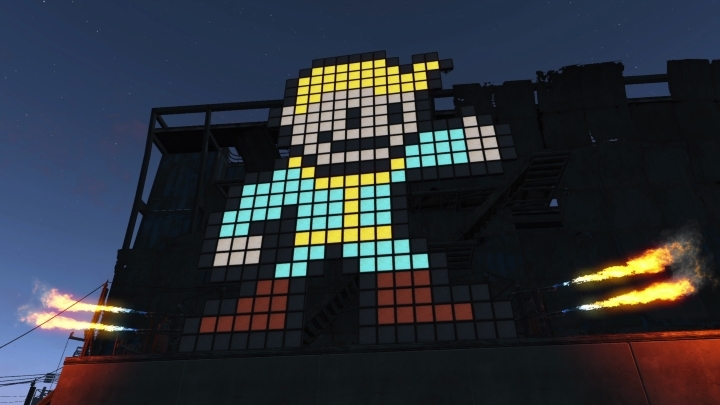 Although since the Xbox One version of Fallout 4 has fewer restrictions than the PS4 one when it comes to user mods, meaning owners of Microsoft’s console will likely have a better experience, it’s nonetheless great news that console players will finally be able to enjoy some of the great mods that have been released for PC over the years.